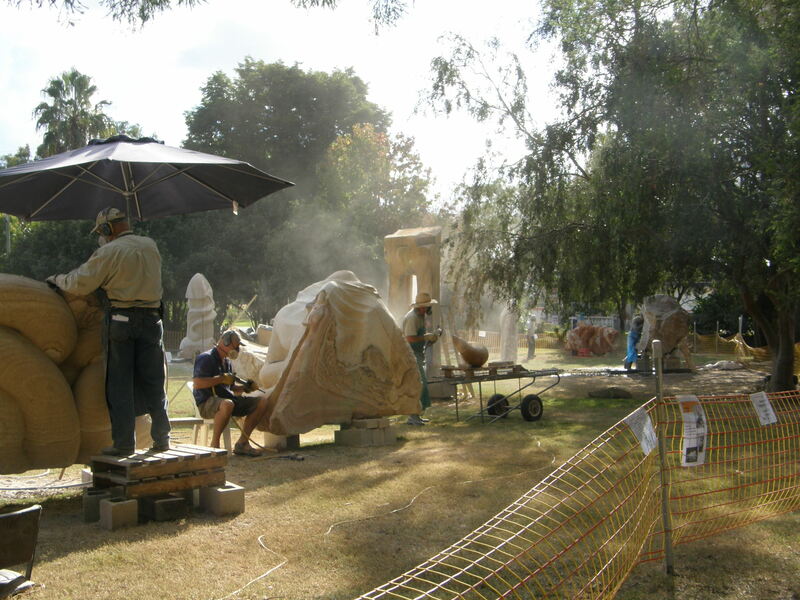 BADCAP held Sculpture for an Ancient Land – International Sculpture Symposium in Beaudesert in 2008 (with support from the Australian Government Regional Art Fund, the Logan and Scenic Rim Regional Councils (an initiative of the former Beaudesert Shire Council) and the Centre for Scenic Rim Arts and Culture). 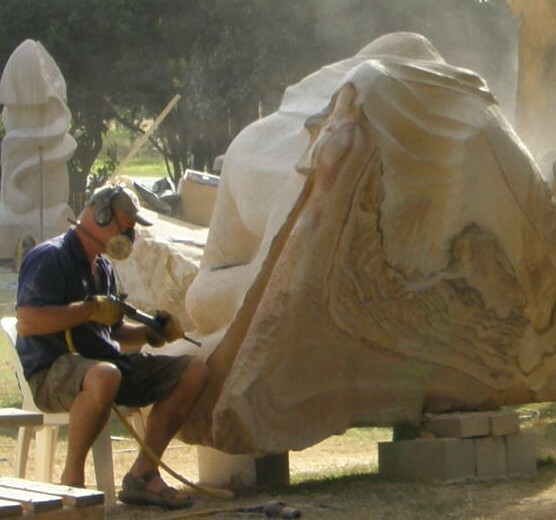 Eight sculptors from Germany, Japan, France and Australia gathered over three weeks to create eight large public sculptures from granite, sandstone and timber. 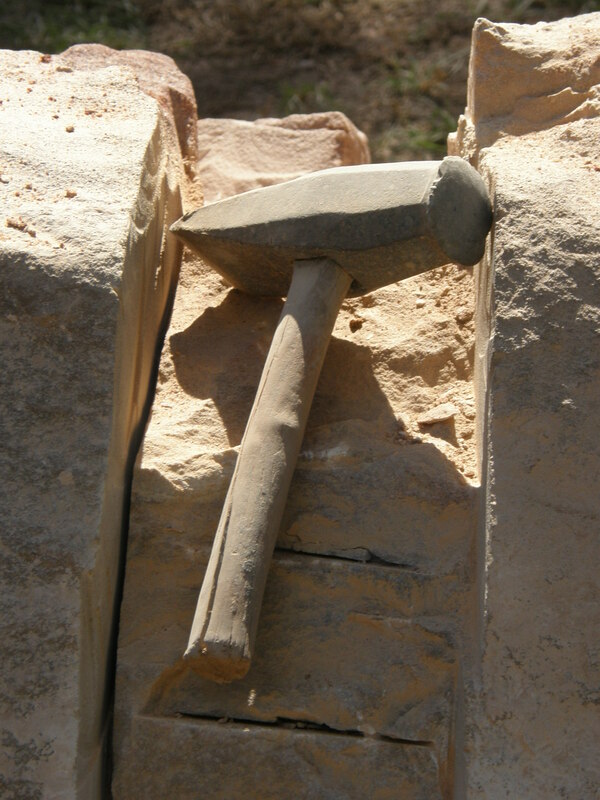 The eight artists worked with diamond cutters, hammers and chisels for 20 days to create some absolutely outstanding sculptures. 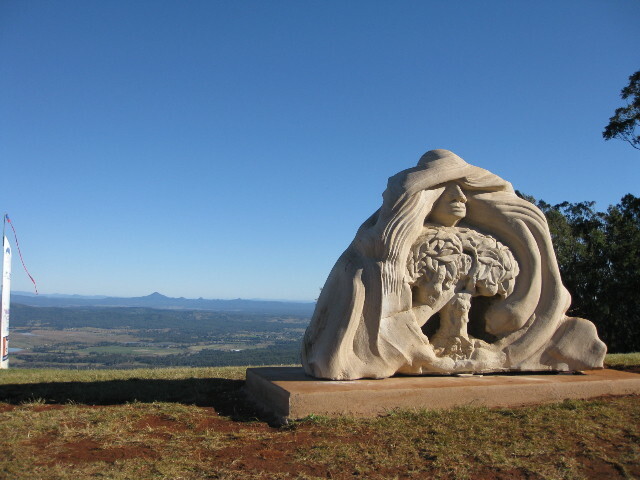 With a total estimated value of approximately $200,000, the sculptures have now been installed in iconic public locations across the Scenic Rim and Logan at Jimboomba, Logan Village, Logan Central, Rathdowney, Beaudesert, Canungra and Tamborine Mountain forming sculpture trail for the region. “It has been estimated that the symposium was visited by over 6000 people during its 3 week lifespan. 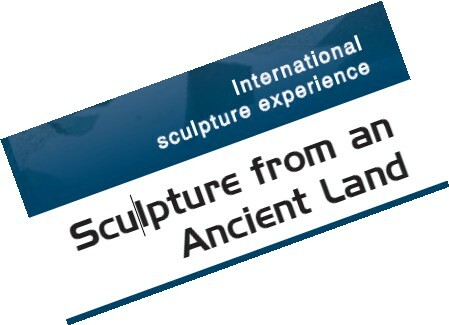 It has been a great community event and great beginnings for sculpture and public art trails across the Scenic Rim. Congratulations to BADCAP and to the people of Beaudesert for embracing the event and making the sculptors feel so welcome” Bronwyn Davies, Arts & Cultural Coordinator, the Centre for Scenic Rim Arts and Culture Beaudesert.